7 Seafood and Wine Pairings To Try At Your Next Dinner Party | Recipes | Oceanfood Sales Ltd.
October is National Seafood Month! What better time to experiment with seafood and wine pairings than now? Check out this list of to-die-for combinations to impress your guests at your next dinner party or woo your partner on your next date night! For a romantic date night meal, try pairing oven baked or pan-seared salmon with a light and earthy pinot noir. 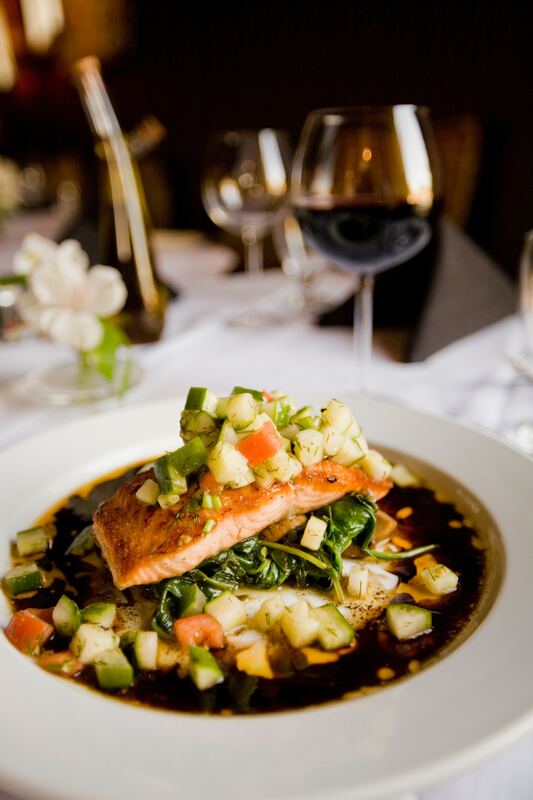 The medium acidity of a pinot helps balance the oiliness of salmon creating a deliciously flavourful pallet! For an appetizer combo, your guests will love, try pairing smoked salmon and cream cheese on crackers with an off-dry gewürztraminer. The slight sweetness of this white wine will complement the smoky flavours and balance the cheese. The versatility of tuna allows it to be paired with various wines depending on how it is prepared. Because of this, a fool-proof pairing is a fresh, chilled rosé! A good rosé won’t overpower the bold flavours of most tuna dishes but instead will refresh the pallet and prepare it for each bite. 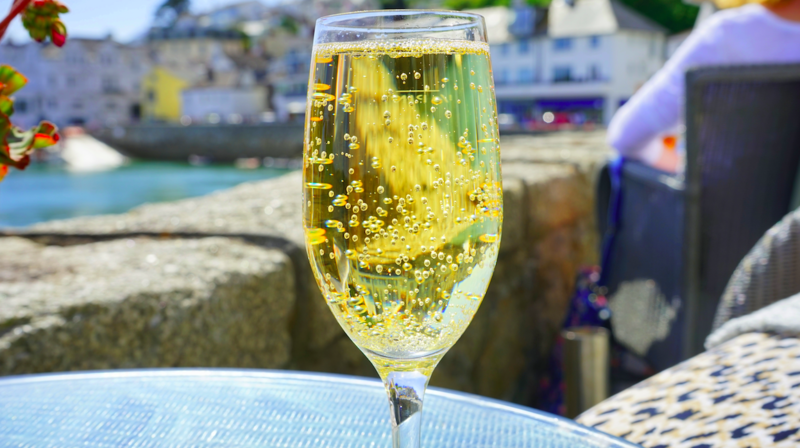 Nothing says “it’s a celebration” like a fresh shrimp cocktail and a glass of bubbly! A dry brut pairs best with this dish as it balances the heat of a spicy cocktail sauce. It also never hurts to pop a bottle; no matter how big or small the party! Whether deep fried or fried, we all know that squid is best served with a squeeze of lemon. That’s why an off-dry Riesling is the perfect match for this dish! The semi-sweet taste of this wine with complement the acidity of the lemon and create a burst of flavour that will make your taste buds dance! Crab is typically the star of the show in most dishes. If you’re not careful, this sweet meat can easily overpower your wine choice. A classic viognier carries floral and fruit notes that will complement the taste of crab rather than get lost among its flavour. Not only is chardonnay commonly used as an ingredient in many scallop dishes, but it also pairs well on the side! 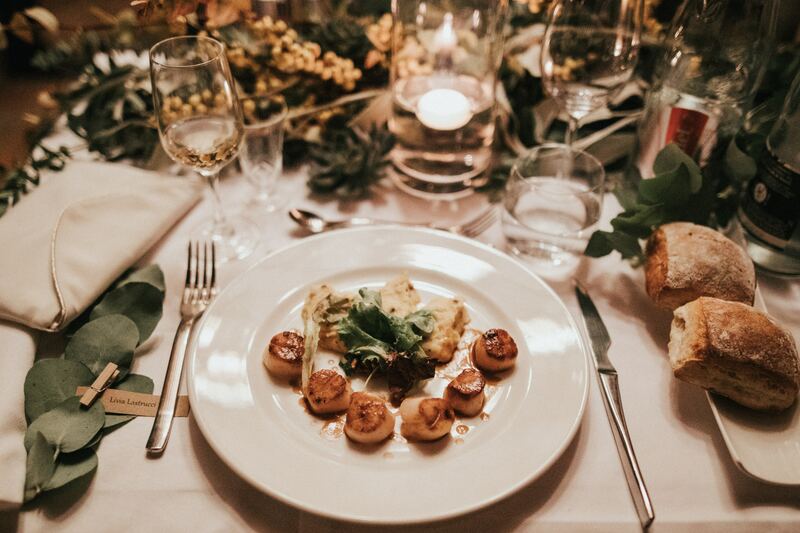 Seared scallops tend to have a sweeter flavour and thus, a glass of oaky chardonnay is a match made in heaven!